The article highlights the stretch of Brixton Hill around the White Horse, including Alkaline juice bar, the Fish Lounge, Negril, F.Mondays and Kata Kata. 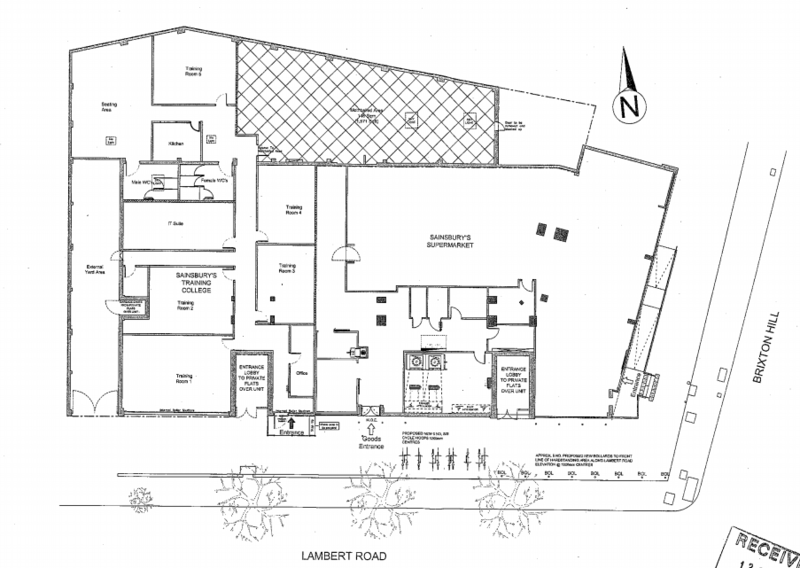 Sainsbury’s have been granted planning permission for a training centre at the rear of their store on Brixton Hill at the corner of Lambert Road. This will comprise five training rooms and associated facilities for managers in the region. The good news for local residents is that this will enhance cycle parking at the site and reduce unauthorised parking by shoppers at the store – something that councillors and residents have been calling for since the start of the year. Councillor Martin Tiedemann had made numerous complaints about the store not doing enough to prevent parking on the pavement and damage to the trees as well as the lack of cycling provision. Local resident Erin Gill created a petition calling for cycle parking at the store. The proposals now are for six cycle stands on Lambert Road, which are intended for staff receiving training but will be able to be used by customers. Bollards will be placed along the edge of the private land to prevent parking to the side of the store. The development will be ‘car-free’ with a green travel plan to outline how Sainsbury’s will help its staff coming from further afield to use the excellent transport links in our area.